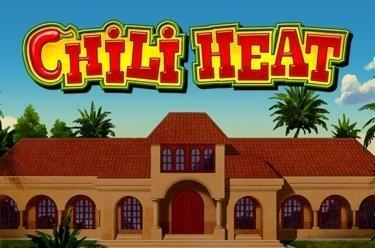 Play Chili Heat online for free now! Step into the shoes of Pedro, a Mexican with a fiery temperament in the new 5-reel slot, Chili Heat. With 50 win lines and a jackpot up for grabs, can you help Pedro keep his cool and win big? The aim with Chili Heat is to line up five identical symbols across 50 win lines from left to right. The Chili Pepper is the Scatter symbol in Chili Heat. Pedro is the Wild symbol and substitutes all other symbols except for the Scatter. The Bonus Feature is triggered by landing more than three Chili Pepper Scatter symbols. You will then be awarded 15 Free Games and the Wild Pedro will turn up more often. Pedro is the Wild symbol and substitutes for any other symbol apart from the Scatter. You can earn additional Free Games if three or more Chili Peppers appear during a Free Game. This slot features a progressive jackpot. How can you get your hands on it? 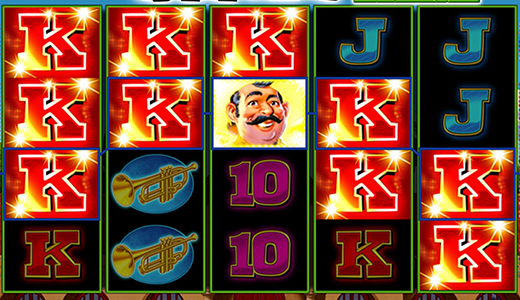 If Pedro appears 20 times on the reels (four Pedro symbols on each of the five reels) then the jackpot is yours. This means you win 100% of the jackpot if you have selected maximum stakes. The lower the stake, the lower the amount of winnings you take home. Meet Pedro, star of Chili Heat and the coolest hothead in town! The mustachioed macho never misses a party, and you’ll find him swinging his hips to the hottest salsa beats every night. Why not join him and blow off some steam at this Mexican party where everyone is a VIP! Don’t forget to try the fiery Chili Pepper because it acts as the Scatter and boosts your number of free games!